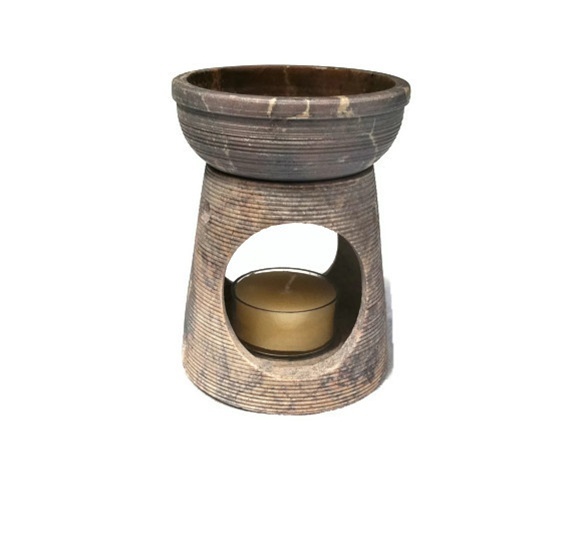 Salish Winds Aroma lamps create a beautiful alternative to incense when you desire a relaxing and fragrance filled home. Candle light creates an inviting and soothing ambiance, perfect for a romantic evening, or a long soak in the tub. It's super easy, just fill the bowl with water and up to 10 drops of essential or fragrance oils; while the lit candle warms and diffuses your home with the healing benefits of aromatherapy. All of our diffusers work great with wax tarts as well. Each diffuser comes with a beeswax votive candle, so you can get started right away enjoying your favorite essential or fragrance oils. Add a bottle of Salish Winds oils, and it makes the perfect gift for that stressed out friend, or maybe just keep it for yourself. Safety Notes: Always monitor the water level in the bowl, the bowl can crack if the water level is too low. Remember to follow the candle manufacturer’s instructions for safe use and care of candles. Do not place next to combustible materials, and keep away from pets and children. Allow the lamp and candle to cool completely before handling, or adding additional water. And don't forget to relax and enjoy, your home is about to smell delicious.